Taking good care of your teeth is crucial for preventing oral health-related problems. Part of maintaining a gorgeous and healthy smile is preventative care done in the dental office. This involves exams, x-rays and cleanings that help to both check for dental problems as well as keep your teeth and gums in great shape. If you forgo the dental office altogether, small problems like a tiny cavity can become larger and need more extensive work. Also, while brushing your teeth twice a day is important in removing plaque, dental cleanings get rid of built-up tartar and hardened plaque that is impossible to remove on your own. 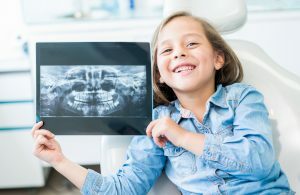 X-rays can also help to determine problems with bone density and impacted teeth. It is recommended that you visit the dentist twice a year for your bi-annual checkup and cleaning. You should also never feel ashamed of how long it’s been since your last checkup, since we are able to help create a customized treatment plan specific to your needs. 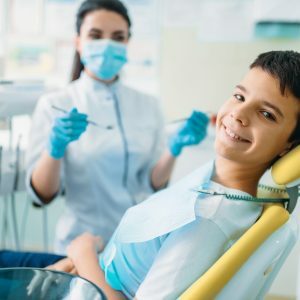 By visiting the dentist regularly, you can keep up with changes and minor problems before they are allowed to get worse. A full dental cleaning done by a hygienist. A full series of x-rays. A full examination to determine oral health and tooth problems. If you need a routine checkup and cleaning, contact us today!